When President Muhammadu Buhari in 2015 embarked on his fourth run for the presidency, he was rebranded a change agent and a converted democrat. The major theme of his campaign slogan was change; which even by a layman’s definition meant changing from the decadent status quo that was prevalent in Nigeria to a democratic and civilised way of doing things. Change was thus supposed to mean changing from impunity, lawlessness, Police and Army brutality, extrajudicial killings and detentions, abridgement of citizen’s rights, corruption, misrule, tyranny, absence of nation building and consequent ethno-religious cleavages, insecurity, poverty, ineffective unitary structure of government and injustice amongst others that was all prevalent in Nigeria. The campaign promised a new deal and righting of the wrongs of the past. We were told; Nigeria’s diversity would be cherished, promoted and celebrated. Dialogue would be elevated above conflict—social welfare payments would be introduced for the very poor, jobs would be created for the jobless and citizens would enjoy all their fundamental rights for the first time. For many of those who were sold to Buhari’s campaign, he was the veritable Messiah, the man who was coming to change Nigeria and put the nation on the same pedestal as other civilised and developed nations of the world. But 8 months into Buhari’s administration the picture is different. The economy is in free fall, there is no direction or agenda of government, ethnic divisions have widened more dangerously than at any other time, more than 1000 innocent civilians have been killed (Shiites and Pro-Biafran protesters) extra-judicially by the security services, while extra judicial detentions, flouting of court orders and general disregard for the rule law by the Buhari administration has become the order of the day. For all the promises of civilised governance, respect for the rule of law, dialogue and upholding of citizen’s fundamental rights, Buhari’s administration now resembles more a military dictatorship than it does a democracy. Not only has El Zakzakky the Shiite leader remained in detention for more than a month without being charged to court in violation of all statutes of law, Nnamdi Kanu the leader of IPOB likewise remains in extrajudicial detention more than 3 months after being arrested and on two occasions granted bail. With the recent decision of Justice John Tsoho of the federal high court to refuse Mr Kanu bail notwithstanding that he is already subject to an unconditional bail that the federal government is yet to comply with, it seems Buhari has finally recruited a judge who is ready to do his bidding. 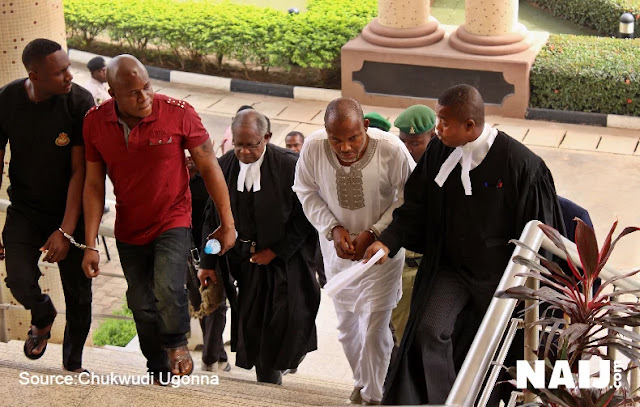 This is more so considering Justice Tsoho’s reasons for refusing bail which clearly suggests that he has already found Mr Kanu guilty even before the trial had begun. Yet, the continued persecution and abridgement of Mr Kanu’s rights has only succeeded in making him a “prisoner of conscience” and in many ways making a Mandela out of him. Buhari has also succeeded in proving that far from the lofty promises he made during his campaign, he has opted to remain and operate within the prism of all that is wrong with Nigeria that he had promised to depart from. Nnamidi Kanu’s only sin is campaigning for self determination on behalf of Biafra. But self determination is a fundamental right recognised by both the United Nations charter and the African Union charter to which Nigeria is signatory. Article 20 of the African Charter on human rights stipulates that “all peoples have the unquestionable and inalienable right to self determination.” Likewise; articles 1 and 2 of the United Nations charter stipulates that “all peoples have the right to self determination.” In 2010, the statutes on self determination were legally affirmed when the International Court of Justice (ICJ) ruled that Kosovo’s unilateral declaration of independence did not violate international law. Buhari thus needs to come to terms with the legal dictates of the right to self determination to which Nigeria is signatory and opt for dialogue rather than the primitive, undemocratic and illegal repression he has so far chosen. Buhari must understand that no nation is ultimately sacrosanct. A nation is in many respects like a family and just as a family no matter the blood ties can disintegrate, so also can a nation disintegrate. The only sustainable way of keeping a nation intact is through dialogue, justice and fair play. In a nation like in every family, there will be disagreements but civilised dialogue remains the continuous and only way of resolving such issues. Thus nations must constantly be negotiated and renewed through several mechanisms to guarantee its survival. In some countries, there are registered political parties devoted solely to the campaign for self determination for their respective peoples. The leaders of these parties are neither harassed nor arrested. In 2014, the Scottish National party (SNP), long dedicated to the campaign for self rule held a referendum to break away from the United Kingdom. It is notable that the British with one of the most powerful armies in the world did not mount a military campaign to stop the Scots from seceding. They followed a lawful, democratic and civilised approach by allowing the Scots vote and ultimately decide their future. It is a shame that in spite of the British example as demonstrated in the Scottish referendum, Buhari still chose the primitive, undemocratic and unlawful route of holding Nnamdi Kanu and others in extrajudicial detention while killing peaceful pro-Biafran protesters instead of seeking dialogue. It is even more worrisome that while Buhari is literarily begging a murderous group like Boko Haram that has slaughtered thousands of people with his declaration during the media chat that he is ready to dialogue/negotiate unconditionally with them, he has refused the same dialogue with Nnamdi Kanu and other adherents of Biafra who are non-violent, preferring instead to kill and hound them into jail. With this gesture, the Buhari administration is inadvertently sending the message that he only reckons with violent conflicts thus indirectly encouraging violence in the land. But repressive methods will not take away Nigeria’s problems, nor will it make it more harmonious. If that were the case, the end of the civil war would have sealed Nigeria’s unity, but as we can see that is not the case. Not only are separatist groups of all shades emerging, there has been a decade’s long campaign for a sovereign national conference that culminated in the 2015 National conference. It is thus foolhardy to pretend that all is well with Nigeria when the reverse is the case. 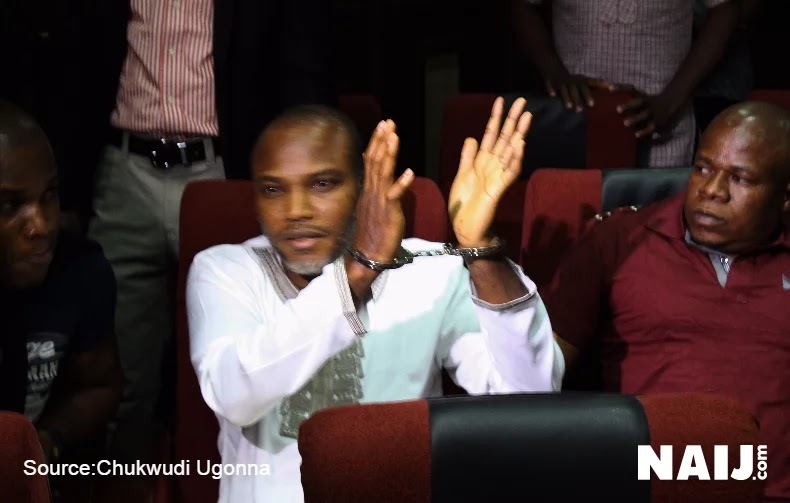 Nnamdi Kanu and Biafra is only a manifestation of the vexed Nigerian question that needs to be resolved through dialogue and not through killings and incarcerations. Buhari had better lead by opting for dialogue, if not he will realise that the longer he is keeping Nnamdi Kanu in jail who for all intents and purposes is a prisoner of conscience the more Mandela he is making out of him.